Good Lord, the Polestar 1 looks great. And rather than merely staying as Volvo’s performance arm, now Polestar is its own electric performance brand. You’ll be able to order one of its cars in 2019, but only if you live in one of its five initial launch markets. The company is planning on opening Polestar Spaces in the U.S., China, Germany, Sweden, Norway and the Netherlands (Polestar Spaces being, uh, “an environment where customers can physically interact with the brand”). Anyway, there was some confusion over whether or not you could actually buy the Polestar 1, because at launch, we were told that the car would be available through a subscription model (kind of similar to Care by Volvo). 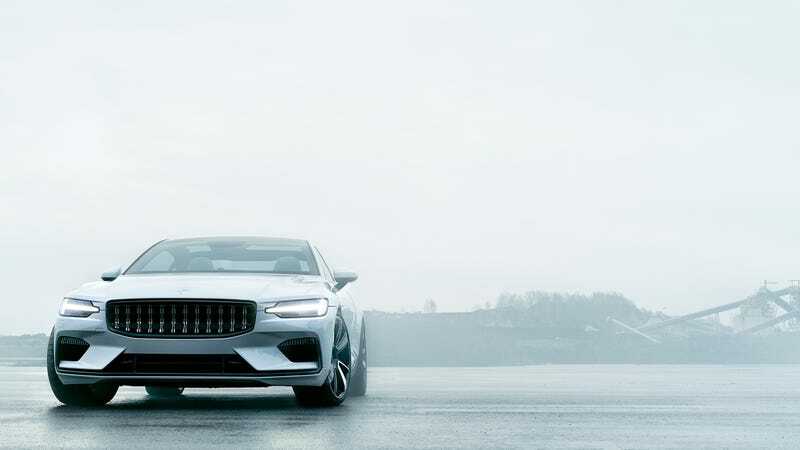 But then Roadshow reported that it would be unlikely that Polestar would exclusively stick with the subscription model, and that a $150,000 price tag could be a possibility. Volvo’s experiment with both Polestar and its subscription program are extremely ambitious, forward-thinking moves for the car industry. But like any of those, it’s really unclear whether they’ll pay off or not. It may be harder than expected to move people off traditional leasing and finance—especially when the car looks this rad. It’s also worth nothing that at the end of the expected subscription program, Polestar/Volvo is also going to have a glut of newish, lightly used cars to deal with. From there, the company can either offer them as part of a more affordable, used-car subscription program or just sell them off. So, you could potentially buy your Polestar 1 then. Correction Dec. 15 8:45 a.m. EST: A previous version of this story stated that Sweden would not be included in the Polestar 1's initial market, when in fact it will. This post has been updated to reflect that fact.